Native Instruments Education Partner Announcement! It’s with great pleasure that we announce the accreditation of school of electronic music as a ‘Native Education Partner’. We’re one of only a handful of schools in the world to hold this title, and we’re incredibly excited with what the future holds as Native Instruments becomes a more integrated part of our high-end studios, and of our curriculum. As a Native Education Partner MMS staff will receive ongoing training directly from NI to ensure the most in-depth and up-to-date training is delivered to students. It’ll also mean major discounts that we can offer MMS students on Native Instruments products – more on that below! As a way to celebrate, we’ll be launching Native Meetups throughout the year – these will be free day events that anyone interested in making music or DJing with NI is able to attend. It’ll be a creative space where you can try out NI equipment in our studios and ultimately experiment with music, with NI-trained staff on hand to ask any questions. Each Native Meetup will feature a seminar focussing on a certain NI topic, so that with each meetup you’ll be learning something new. We’re excited for our first NI Meetup which will be on Saturday, 10th December. There’ll be sessions from 12 – 2, and 2- 4pm – you can sign up for that here. 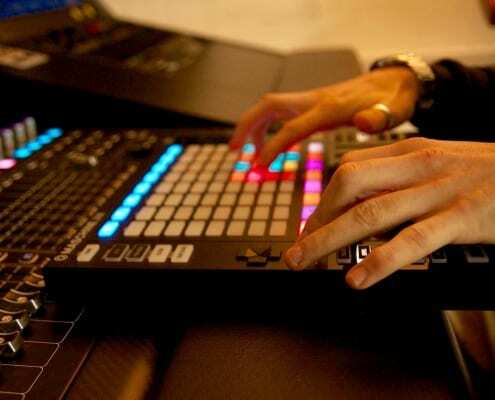 This Native Meetup will be a chance to jump on the much anticipated Maschine Jam. Our very own Tom Lonsborough will be giving a talk on how to integrate Jam with your setup – whether that’s Maschine Mk2, your DAW or your external hardware. Future meetups will include sound design using Komplete, the big wide world of DJing with STEMS, and how to up your creativity with Maschine. The Native Education Partner status comes at a perfect time if you’re looking to study at MMS. With our new modular course builder, the cutting-edge technology that Native Instruments brings comes all the way to the classroom. 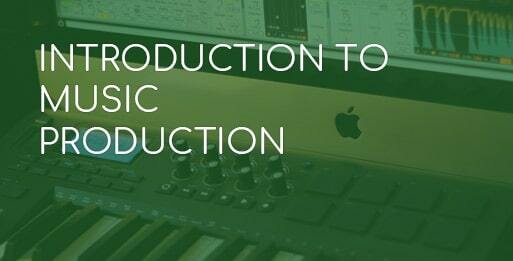 Our Introduction to Music Production module will have you carving out beats on the Komplete Kontrol keyboards, Maschine and Maschine Jam from the very beginning. 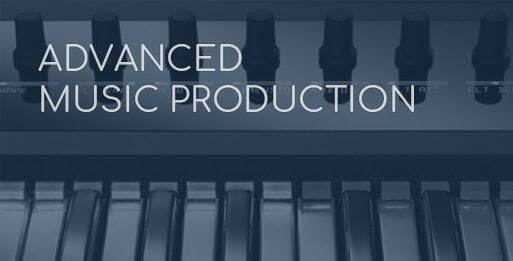 If you progress to our Advanced Music Production module, will take this further by going in-depth with Native Instruments Komplete, looking at Reaktor, Kontakt, FM8 and Massive. 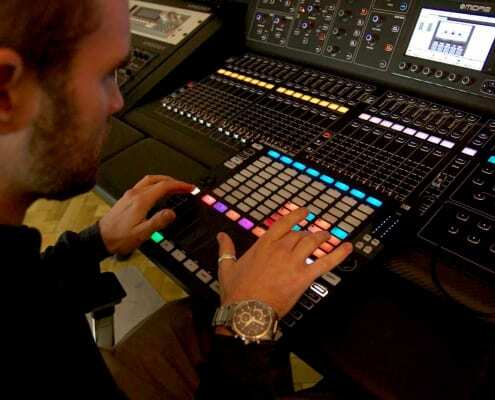 Our Complete DJ Course too has a focus on mastering the digital DJ software Traktor, and the new STEMS format. 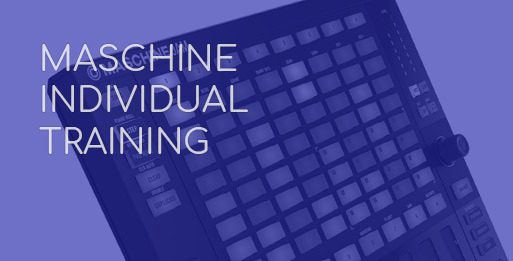 This is in addition to our dedicated Native Instruments Maschine weekender course – 4 days of intensive training on Maschine and Maschine Jam to get you making music quickly and intuitively. On top of all this, as MMS students you’ll be entitled to exclusive discounts on NI products that you won’t find online or in any shops. This includes up to 30% off NI’s hardware, and 50% off NI’s software, so that you can ensure you’ve got access to a high-end setup at home, not just in school. If you’ve got any questions on any of our courses, please contact us on 0161 833 4722, or email us at contact@schoolofelectronicmusic.com. Our course advisors will be happy to discuss training options or book you in for a tour of our facilities. Don’t forget to book on for our Native Meetup – that’s Saturday, January 7th from 12 – 4pm! Next start: June 15th 2019 - Register for the event!